Wow, what a roller coaster ride that was! After all the dramas, decisions and deadlocks, Louisa Johnson was crowned this year's X Factor winner! The blonde bombshell beat fellow finalists Reggie 'N' Bollie after her rendition of Bob Dylan's 'Forever Young' left both the audience in the studio and the millions at home speechless. 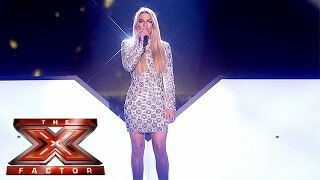 We can't wait to see Louisa's career flourish over the next few years!